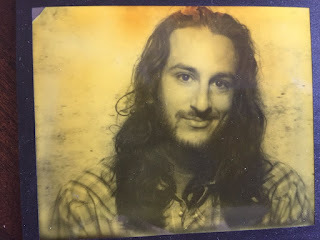 On this, our 93rd episode, our guest is Jeff Weiss. “Jeff Weiss is a writer from Los Angeles. He founded the blog Passion of the Weiss in late 2005 after a drunken revel led him to get tattoos of several blog bands named after animals. He does not regret the Wolf Parade one.“Other bullet points he feels compelled to hype in this space: He was the co-host of the Shots Fired podcast. He writes the Rolling on Dubs column for Pitchfork and, until recently, the Bizarre Ride column for LA Weekly. One time, he co-authored a book about Biggie and 2Pac. You can find him on Twitter at www.twitter.com/passionweiss. Finally, I'd like to extend an open invitation to anyone currently associated with the LA Weekly. You're welcome to come on the podcast and give your sides of the story any time. 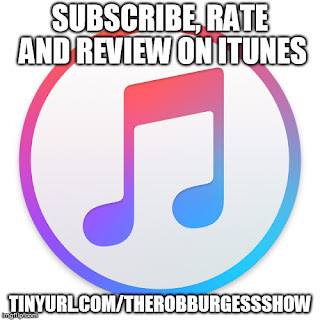 If you have something to say, record a voice memo on your smartphone and send it to therobburgessshow@gmail.com. Include “voice memo” in the subject line of the email. I have no idea what, if anything, I'll be doing with these, but it could be interesting.